Wharton School at University of Pennsylvania has topped Business Insider’s annual MBA ranking of the top 50 business schools globally. The US based school topped the business website’s list for the first time in its six year history. Wharton leads the pack of US schools which have dominated the ranking: of 50 schools, 10 are European; three Asian. Business Insider evaluated schools based on five metrics: reputation (determined through an annual reader survey); average starting salary after graduation; job placement rate three months after graduation; average GMAT score; tuition and fees. 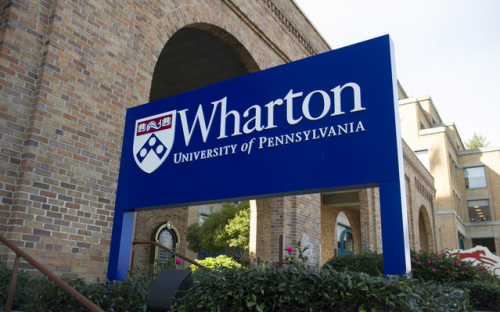 Wharton is something of an all-rounder: its strong reputation, fat graduation salaries and 95% MBA employment rate ensured its success. Wharton grads earned on average $127,300. Notable graduates include Jeff Weiner, LinkedIn's chief executive. Chicago’s Booth School took no 2, mostly down to its MBAs being virtually guaranteed a job — 98% were hired within three months — the highest of all schools ranked. Its top five employers are McKinsey, BCG, Bain, Amazon and Bank of America. Average starting salaries for Booth MBAs are $125,000. Harvard claimed the third spot. The $141,900 cost of its MBA held it back, despite high salaries. Graduates of the world’s oldest MBA program are earning a meaty $131,600; 91% are employed in three months. Top alumni include Facebook COO Sheryl Sandberg and JPMorgan Chase CEO Jamie Dimon. Stanford GSB and MIT Sloan are at no 4 and no 5, respectively. The percentage of Stanford GSB’s MBAs reporting job placements after three months dropped this year. “The strong market has allowed them to defer decisions about multiple offers, and in some cases, turn down offers to remain focused on searching for an ideal opportunity,” said Maeve Richard, assistant dean at Stanford GSB. At MIT Sloan, 93% of grads were employed on 90 days, earning $126,300 on average. Top employers include Adobe, Microsoft, and Google. “There is significant interest on the part of the first-year MBAs in technology,” said Susan Kline, co-director of Sloan’s Career Development Center. The top spots in the ranking are dominated by US schools, mirroring a trend across most major publications’ MBA rankings. Kellogg is at no 6; Columbia (7); Tuck (8); Yale (9); Haas (10). London Business School is home to Europe’s top-ranked MBA. Its graduates earn $119,200 in salary. INSEAD, which has a campus in France, is at no 18. Average starting salaries are $94,100. With tuition and fees at $69,700, it’s one of the best for return on investment. The third top European school is Cambridge Judge, at no 19. Some 95% of Cambridge MBAs have received job offers within three months; salaries are $108,900 on average. Meanwhile, seven other European business schools are considered among the 50 best in the world: Oxford (26); HEC Paris (27); IESE (29); IE (33); IMD (35); Warwick (37); ESADE (45). Hong Kong’s HKUST is the top ranked school in Asia, at no 40. CEIBS in Shanghai — at no 46 — and Nanyang — at no 50 — are the other two Asian schools ranked.